Key thing I'm thinking now... you can always get back in. To both a long and a short position or a share. The yield will still be there practically all the time. So important to trust instincts with selling as well as buying... go with my gut. With spreads I think it is very important to trust my instincts... most of the time when I think something is 'pretty high' it goes down... and there is not much of a spread on the FTSE 100 shares I buy... need to act more quickly on instinct. Day off regular work today so it's a lot of share investment time and other things... have quite a lot of short exposure with spreads which is working fine so far... happy to network and trade ideas. Mark Howitt ‏ @MarkHowitt 3s3 seconds ago More Shorted @sainsburys it's overvalued atm... if the Asda deal gets through it may be delayed/conditions place on it too... in profit so far. Shorted @sainsburys it's overvalued atm... if the Asda deal gets through it may be delayed/conditions place on it too... in profit so far. You should have no emotional attachment to shares. If you own shares you are a shareholder, not an employee. For companies you have not even worked for there should be no emotional attachment. HSBC does not care about Mark Howitt. BP does not care about Mark Howitt. Sure I own part of the business and make money out of both shares but they don't care about me AS A PERSON. So you should not hold onto a share just because you have for years or have any kind of feeling of 'loyalty' to them. They don't have loyalty to you. Chris Bailey is getting onto to make a spreadsheet of all my shares and see if I am making the most efficient use of my capital. I'm not literally going to do that but if I feel a share is overvalued I will sell it. I can always buy it back again if it drops down to a lower level. With spreadbetting I can make a small financial allocation and get exposure to any share in the world. So yeah... No Emotional Attachment To Shares. All that matters is how much money you make. Done 2 walks today and will be doing one or more per day! Shares and spreads going pretty well... BP, Shell, GNK and IAG all up nicely... always room for improvement though. Or like a zen monk you could say... but a bit more ruthless than a 'monk'... same none care for consumerism though. You have to be calm and 'learned' yet use your wizard power (and money) to see the right opportunity then strike. 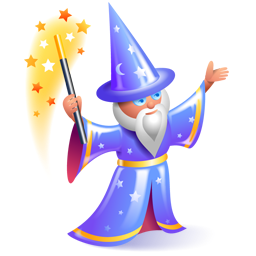 Zen wizard is best description I can think of a good share share investor/trader. To be a good share investor/trader you should almost be like a zen wizard. You have to be calm and see the opportunities then pounce at the right time. In a way it’s good to be almost emotionless when trading. You should never panic when there are losses as long as the fundamentals of the share remains the same. There always will be chances to go ‘long and short’ practically every day but you just have to remain calm and pounce at the right time. And there are more things to go ‘long and short’ on than at any point in human history right now. There will be more in the future. So you kind of just have to hone your ‘wizard skill’ as much as possible and do it as much as possible. To save time and energy you can always just let a spread hit its limit rather than watch it too much... you should have a clear target in mind when placing a spread that you want to hit. @ITV has that mass market appeal that's good for ads. Feeling very goal focused now... diet and exercise getting better which will help my whole life. Exercise every day. Bought @CrestNicholson good value at these levels... low PE over 6.75% yield and posh houses in nice areas. Actually happy it's a normal share day today- working yesterday every day is goal day. I'm also at the point in my life where I won't tolerate any negativity or things that impact badly on my goals from anyone... while at the same time being open to cool people. People where we can mutually add value to each other. Connect if you're one of those people. Exercise is going well and diet is getting better... going to work on these things every day. Less money time more time on this. I really feel that's a fine way to write these days, as a lot of people have short attention spans. I like having a style which is minimalist. Because sure I've had over 150,000 views worldwide on my share writing but it's quite hard to write a share article in an interesting style... although I've done it sometimes. Quite often during a day I think of a nice phrase I could write down... at some point I will do quite a bit of none share writing. Yes reading is fine and most people should read more. BUT... I personally have read too much and not done enough. There are probably readers of mine who have done the same- that's why I wrote it. When you get past the 2,000 books mark you can be selective in what you read. Very strong day for my shares and spreads yday... @ITV and @BP_plc rising nicely... @Morrisons short did well too. Day off today so more time for shares and networking. For too much of my life I have read too much. I got hooked young, brought into the library by my mother at about 3 or 4. I think I was conditioned to the mindset of- the more you read the more you know and the better you will be. And that's true TO AN EXTENT. But it's also not true. You can read too much and your brain can get overloaded. And often just reading something is not the best way to learn it. Even with a subject you could consider partly theoretical like chess... you will definitely learn more by playing a lot rather than just reading about it. I remember at 14 reading up massively on chess history... to be a better player I should have just played as much as possible. For something more physical it's even more about doing. For example running. I ran quite a bit in my teens- I was forced to by school. And looking back some of that was the toughest part of school, it hurt the most in a way. But you can also say that it brought some of the most practical benefits too. TBH I think when young it is good for education to have a forced physical aspect to it... you shouldn't have to push yourself too hard but I pushed myself pretty hard when running. And today I will continue with my daily exercise. I still probably read too much now. The thing is you can read up on something so much... but when you come to actually DO IT you will often find things are different than what you have read. You probably won't get things perfect first time. However by just pushing yourself to learn new things you will gradually become better at learning. For new things that I am learning now... I have made some silly mistakes, but nothing too massive, yet I've learnt from them and won't do them again. I really think I am at the age now where I have to push my comfort zone. Do things, learn things, reflect, then do them better. @sainsburys merger is bad news for both @Tesco and @Morrisons . Phoned my father and he sold out of his SBRY shares at a decent profit... I can see both Tesco and Morrisons share price moving much closer towards 200p. Strong results for @BP_plc today... they can still soar upwards! Long term, maybe within about 3 years, oil will reach 100 dollars a barrel. BP only needs it to be 50 dollars a barrel to be profitable.